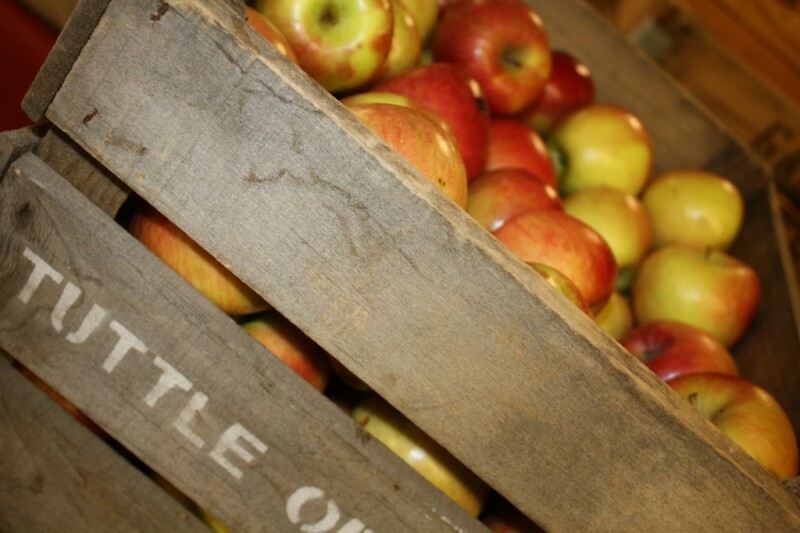 Fuji Apples - Tuttle Orchards Inc: Indianapolis Apple Orchard, Pumpkin Patch and Farm Store. 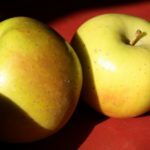 We like to call Fuji the “international apple” as it has been developed around the world. 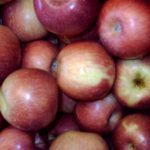 Bred from a cross between Red Delicious and Ralls Janet varieties at the Tohuku Research station in Morioka, Japan in 1939 and introduced into Japanese production in 1958, Fuji is a high quality variety known for its long storage life. Like fine wine, its flavor improves with age. Fuji’s spicy, crisp sweetness makes it excellent out of hand or as applesauce. It varies from yellow-green with red highlights to very red.